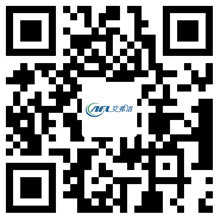 Different Aspect of The DC Blower And Axial Fan - Hangzhou Airflow Electric Appliances Co.,Ltd. DC blower is through the direct current, into mechanical energy, driven by the wind wheel rotation, air inlet and outlet in the vertical wind direction, continuous compressed air, to produce large air volume, hair dryer. DC blower general device in the air conditioning unit into and out of the boiler drum, induced draft fan and so on, the device is more complex; axial fan is often installed in the duct side, or duct outlet front. The DC blower is usually composed of impeller, housing, current collector, motor and transmission parts (such as spindle, pulley, bearing, V-belt, etc.). Impeller by the wheel, the blade, wheel cover, axle composition. The enclosure consists of a scroll, side panels and legs. Blowers can use the blade forward or backward blade, the wind pressure on the wind more widely requested. And the cabinet can do silencer processing, noise indicators have a clear advantage. The motor and the fan are generally connected by shaft. Axial fans are generally composed of impellers, housings, current collectors and motors. The impeller consists of blades and wheels. The enclosure consists of a hairdryer, a rack plate and a bracket. The diameter of the fan of the axial fan is limited to the diameter of the housing, and the motor is generally in the fan. Blower principle: the air flow into the rotating shaft, under the action of centrifugal force was thrown to the outer edge of the impeller, from the outlet. DC blowers are widely used in welding machines, audio and video equipment, stage lighting gas mold, cartoon toys, medical equipment, machinery and equipment, baking boxes, ovens, gasifiers and other peripheral cooling, equipment and so on. Axial fan principle: the gas into the rotating shaft is pressurized and then from the other side of the axial discharge.